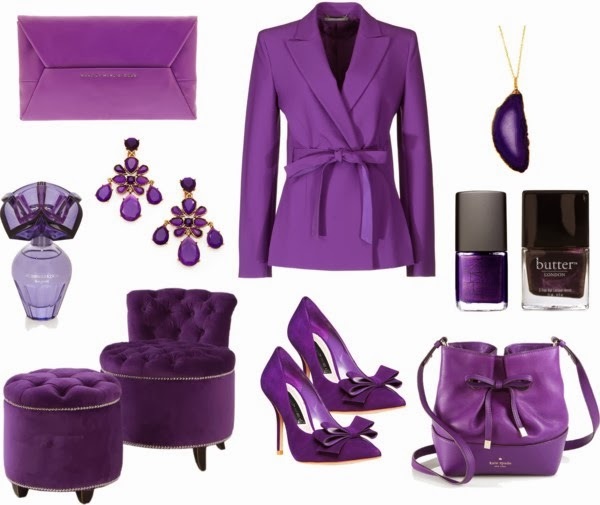 Long time seen as a royal color, purple hues are everyone wear this autumn from interior design to fashion and beauty. And I couldn't be more pleased about it because this myriad of amethyst, eggplant, lavender and violet adds a vibrant and sophisticated vibe to the dark Fall color palette. I can't take my eyes off the elegant Kate Spade bow handbag. Fancy anything?